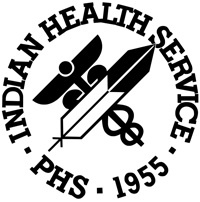 Membership in AAIP offers a vast pool of opportunities for career growth through networking with other Native physicians across the country as well as opportunities to support future generations of Native health care providers by serving as role models for a variety of AAIP student programs. Find out about available medical and health care positions. AAIP offers medical employment opportunities from universities and hospitals across the country. Please join us in continuing to offer life-changing programs by making a tax-deductible donation. Your donation will contribute to our shared pursuit of excellence in American Indian and Alaska Native health care.